Joffrey Pearlman is a senior investment management sales and marketing executive and has worked with several leading financial institutions including Hartford Funds, Stadion Money Management, BIC Group LLC, and Allianz Global Investors. His specialty includes strategic selection and educating financial advisers on positioned mutual funds, separately managed accounts, closed-end funds, offshore funds and exchange traded funds (ETFs). He is a four time recipient of the Allianz Wholesaler of the Year award. 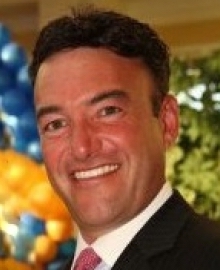 Joffrey graduated from SUNY Oneonta, and his licenses include the NASD Series 7, Series 63, and Series 65.